We believe every kid deserves a fair shot. But, poverty too often stands in the way. 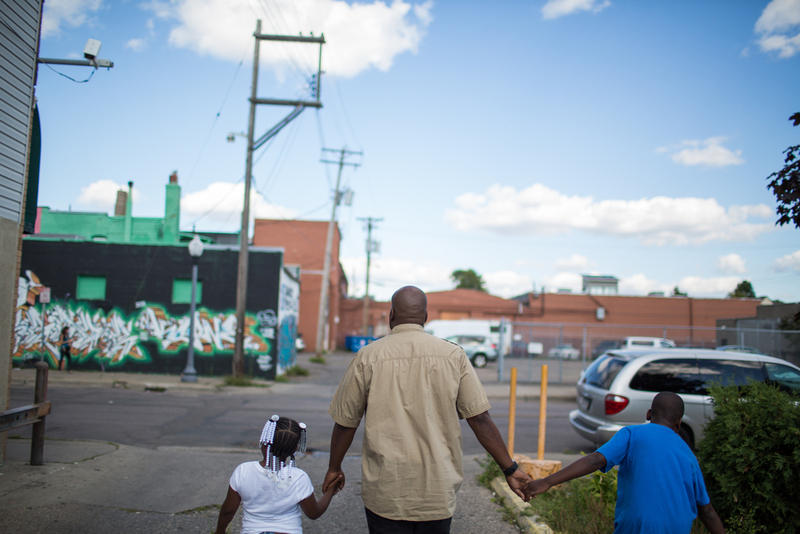 51% of youth in our South Minneapolis neighborhood are growing up in poverty—a burden no child deserves to bear. We’re refusing to let hopelessness win. Just 16% of students-of-color graduating from local high schools go on to get a college degree and/or a fulfilling career. 62% of households are headed by single mothers. 42% of those mothers lack a high school diploma. 50% don't speak English. 98% of students get free or reduced lunch. The USDA designated our area as a food desert. Few kids get 60+ min of activity daily. We reviewed the research, and the verdict is in. Any lasting solution to urban poverty must span all the way from cradle to career–putting education, families, and community assets at the core. Living into our values is what sets us apart. Urban Ventures started 25 years ago as a basketball camp next to a church. Today, we still embed our founding values into everything we do. Watch below to see how we answer the question "How do you build a city without poverty?" A city without urban poverty. Educating children, strengthening their families, and building a healthy community. Faith, integrity, empowerment, transformation, diversity, and sustainability. Learn More. What does it mean that Urban Ventures is a faith-based organization? Urban Ventures is proud to be a faith-based organization. With the principles and teachings of Jesus at the center, we are led to serve all people and treat everyone with love and respect regardless of their beliefs. Our faith compels us to action; we strive to make our neighborhood one that reflects the justice and love that characterize God’s dream for the world. We trust in the power of God to use the seeds we plant in the hearts of those in our community to produce fruitful, long-term change.